Sheri & Bill - Let Freedom Ring! Sheri & Bill - We Duet Better As We Go! 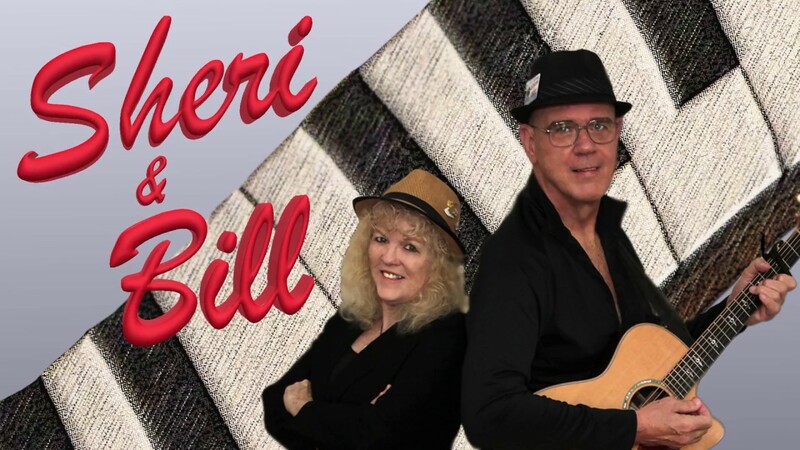 Sheri & Bill - Singer/Songwriters Duet with Keyboard and Guitar...musicians, entertainers and recording artists. Add a "Musical Journey" to your event or party! Sheri & Bill weave stories of life and love through their Original Songs, plus medleys they have created from favorite Folk, Classic Soft Rock and Americana artists who influenced their own unique "Sheri & Bill" sound. Supporting their local and global community, "Sheri & Bill" donate 10% of performance proceeds to Alzheimer's and 25% of recorded music sales to community food pantries! Among the BEST entertainers I have ever contracted with. Sheri and Bill were crowd pleasers. Everyone commented on her lovely voice and their musical skills. Their sound check was perfect for the room size, and the crowd. I could not be happier with their performance and I will definitely refer them to others. Additionally I hope to rehire them again in the future. Great people to work with, very talented musicians. Bill and Sheri were absolutely spectacular at our Senior Valentine Brunch. Everyone loved them. They are always very pleasurable to work with and deliver a positive and upbeat performance. We received many compliments after the show. Sheri and Bill were the perfect asset to the evening. Every single person who attended the event praised the entertainers. The comments ranged from fantastic entertainers to she has a beautiful voice, to they are great! I would highly recommend hiring Sheri and Bill. They lived up to everything they told me, and their performance and professionalism are unsurpassed. You will be very happy working with them. They tailored the evening perfectly for this party. Sheri & Bill, for the second time, performed at our 'Young-at-Heart' program at Calvary Baptist Church in Lilburn, GA. While the first performance was excellent, this last performance was even better. It was amazing to see how the duo had grown together in their performance. Each seemed to enhance the performance of the other. As 'Director of Senior Adults' at Calvary, having performers of the quality of Sheri & Bill makes my job easier and more rewarding. After the program was complete last week, many who were in attendance advised me that their performance was among the best I have been able to provide for our Young-at-Heart. I heard comments such as, "Bill's voice is great and Sheri's voice is crystal clear; I could understand every word." I look forward to a return performance later this year. We can perform as background music to set an enjoyable ambiance when needed. We perform as the main event, with our very varied "Best of Sheri & Bill"set list! We like to engage the crowd - especially we like to mingle in advance once we are set up and meet a few folks. We like to spread our "happy dust"! We can easily handle crowds as intimate as 25 or as large as 500+. We are both talkers and story tellers - we select songs (and write songs!) that tell stories. We have designed some creative song medleys that remind everyone of their favorite part of remembered tunes. We can emcee events - we are both excellent speakers and handle life's magic moments, humor and impromptu moments with fun and style! We are both ball room dancers - we can put on some tunes by others and demo a few dances and encourage folks to dance. As Musicians, Entertainers and Recording Artists, we are a husband/wife singing duo with keyboard and guitar. 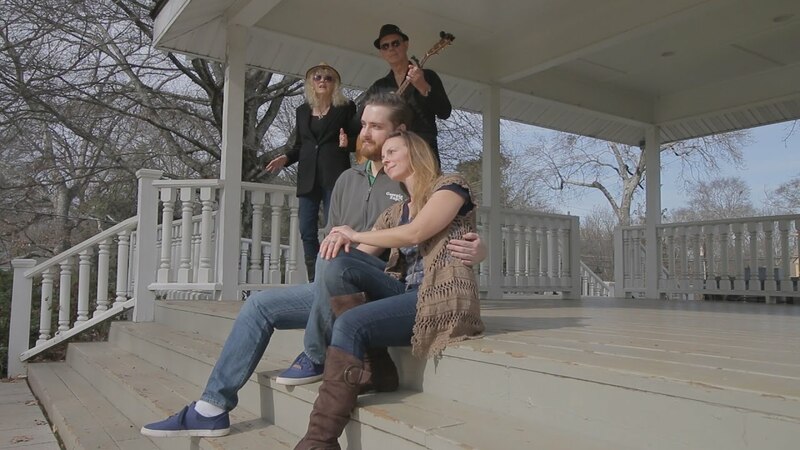 Take a musical journey with us as we weave stories of live and love through our Original Songs plus medleys of Classic Soft Rock, Folk, Americana, from those artists who have influenced our musical creation. The music we perform is classic and enjoyed by folks of all ages. We are not shy: we can perform, emcee, entertain, or simply provide ambient background music when needed. Last minute planning? No problem! We can supply all your musical entertainment needs for your event, and we are happy to help you with the planning portion. December 06, 2018 • 3:00pm - 4:00pm Sheri & Bill "Sounds of the Season"
February 12, 2016 • 10:30am - 2:00pm F.A.B. Valentines Brunch with "Sheri & Bill"